Bets worth an estimated $6bn (₹ 43,000 crore) were expected during the Super Bowl. 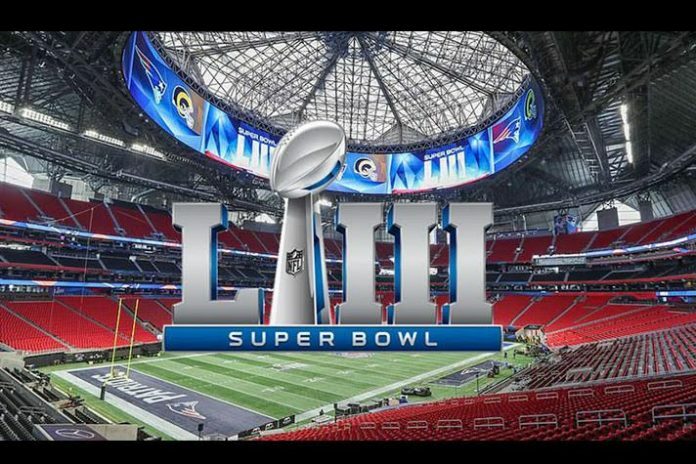 The numbers indicating phenomenal gambling during the Super Bowl are revealed in a survey by the American Gaming Association. Nearly 1-in-10 American adults had planned to bet on Super Bowl LIII between the New England Patriots and Los Angeles Rams, American Gaming Association (AGA) has stated in it survey report. The key findings from the survey, conducted by Morning Consult, hinted that 22.7 million American adults planned to bet on Sunday’s game. Of the group, 52% said they would bet on the Rams, while 48% woul bet on the Patriots. Americans had hinted that would wager $6 billion (₹ 43,000 crore) on the Super Bowl; and 1.8 million Americans had planned to bet illegally through a bookie, with millions more likely to bet illegally through offshore online books. “The interest in legal, regulated sports betting in the United States has never been higher,” said Bill Miller, AGA’s president and chief executive officer. “More Americans than ever before will be able to place their bets with legal sportsbooks now operating in eight states, generating valuable revenue for state, local and tribal governments and increasing fan engagement with the game. Eight States in the USA now offer legal, regulated sports betting, with dozens more are poised to consider legalization this year. Last September, an AGA study revealed that the NFL could reap $2.3 billion annually from legalized sports betting, largely due to increased fan engagement. This month, the NFL designated Caesars Entertainment as the league’s official gaming sponsor, and five NFL teams have formed private partnerships with the gaming industry in recent months. This survey was conducted on behalf of the American Gaming Association by Morning Consult on January 22, 2019 among a national sample of 2,201 Adults. The interviews were conducted online and the data were weighted to approximate a target sample of Adults based on age, race/ethnicity, gender, educational attainment and region. The margin of error is +/- 2% and greater among subgroups. Bettors include those who expect to place a bet online, with a bookie, with a casino sportsbook, in a pool or squares contest, or casually with a friend.